Being American Independence Day I had to have an American beer to start. The only one I had was not particularly weather appropriate though; Dark Horse Reserve Special Black Ale. It was a nice roasty porter, but I needed something lighter... This is where Get Radical's Feathers of Angels came in. Sitting in that grey area between American Pale Ale and IPA - it was light and full of tropical fruit flavours. It was an impressive beer. 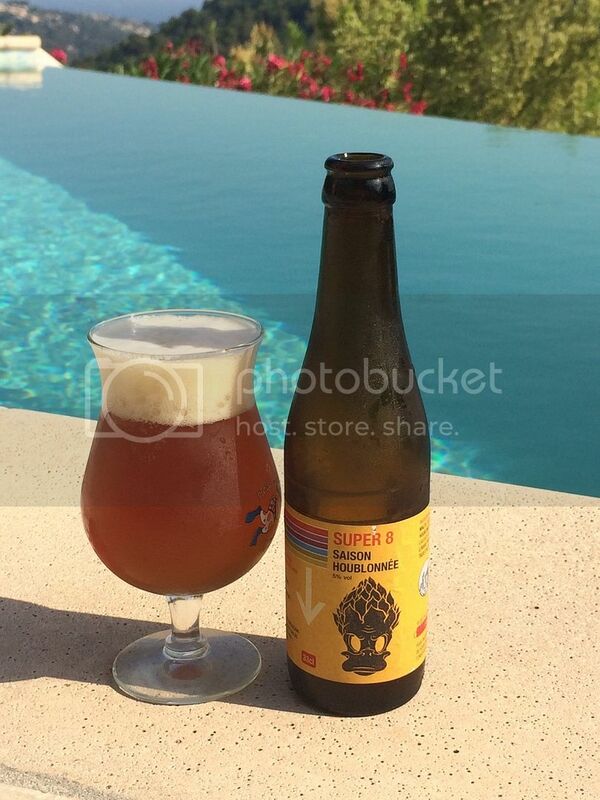 The first beer that I had in the pool was an absolute stunner! Oude Geuze Boon A L'anciene Vat 77. This is a beer for true sour lovers, with big oak and citrus flavours pairing nicely with at times extreme tartness. There's plenty of Brett there for true sour fans. I would not suggest this one to anyone new to sours, it will be lost on you. My second beer from Get Radical was their Mars Needs Women. It's a refermented version of their Train to Mars Saison, which had honey and brettanomyces added and was then left in oak barrels for 7 months. It tasted as you'd expect, with plenty of honey sweetness, some floral and citrus characteristics and finally some sourness. It could have easily had more sourness, but I quite liked the level it was at. Having contuinually passed it up back home, I finally bought myself a Cuvee de Ranke. I will not be passing them up anymore! The is a special beer, packed full of sourness and a brilliant dry finish. Dad brought back a La Chouffe Blonde from the supermarket and so we shared that. It was light and Belgianny and was really nice in the pool. 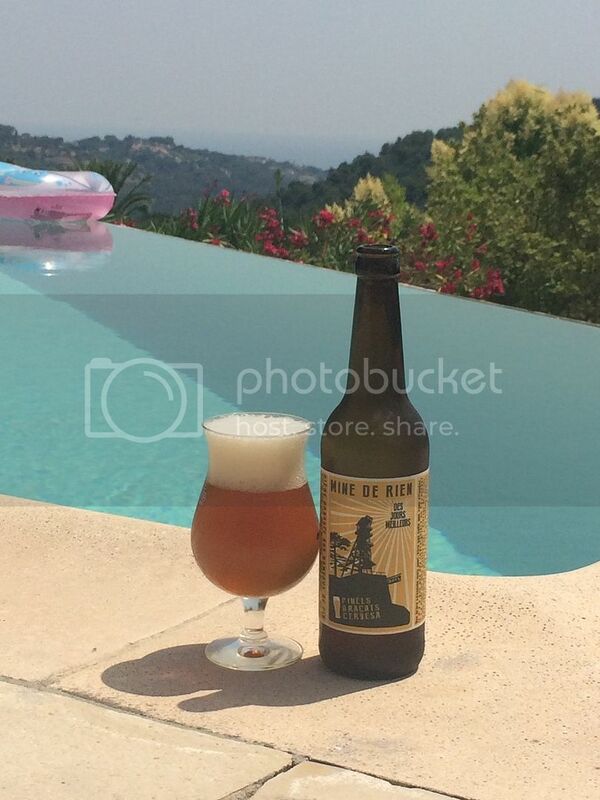 I think the French must almost love Citra hops as much as I do, such is the prevalence of them in their craft beer. 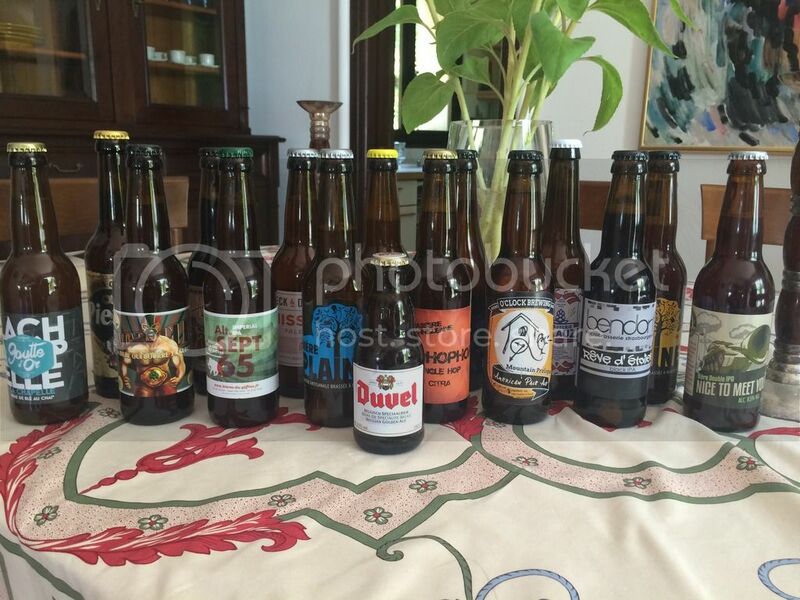 Another French brewery producing an IPA with Citra hops was the Brasserie Correzzene. 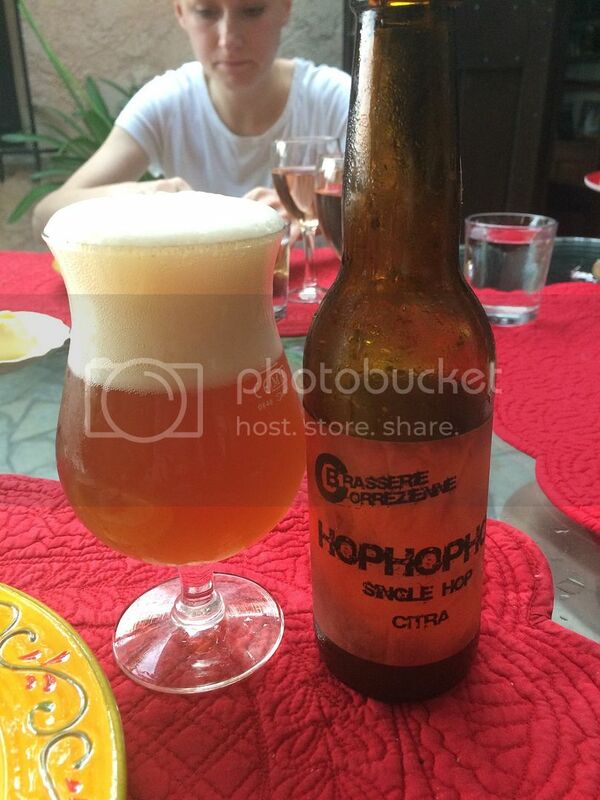 Their HopHopHop range is definitely a Single Hop Series and this Citra was nice. The hops shone through really well, with a malt base designed to let them show off their stuff. A visit to Cannes the next day meant a day back on the macro lagers, and after walking around the town in the blazing sunshine a couple of Stella Artois' really hit the spot (never thought I'd say that!). A hoppy Saison called Super 8 from Brasserie Thirez and Brasserie Outland was my first back in the pool for the conclusion of the Tour de France stage. It was what I wished most Saisons were like, with hops allowed to play a part without taking away from the yeast characteristcs. Cantillon's Iris is one of the great sours. It's so good, with it's luscious floral body. I love this beer beyond words. Alt Sept 65 was far and away my favourite French IPA to this point. It had excellent bitterness and more than enough body for it's 8.3% ABV. After having this I really regretted not buying more from Brasserie de la Valle du Giffre.